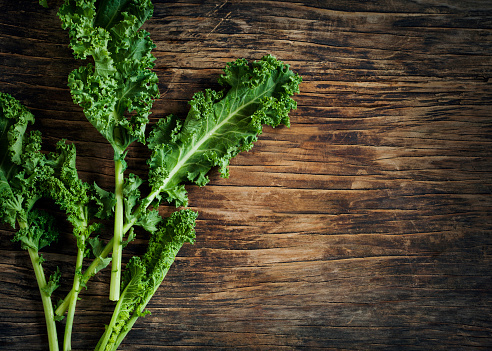 Home » Healthy Eating » Why is kale a superfood? Even if this cruciferous vegetable hasn’t won your heart, you’ve surely heard about kale, the nutritional superstar. If you look up the topic of healthy eating, clean eating, vegetarianism, or green smoothies (just to name a few), you’ll find talk of kale. But what is kale all about? Is it as good as healthy food enthusiasts claim it is? Struggling with recurrent UTIs? Believe it or not, kale can help. In fact, it is listed as one of the best dietary treatments for UTIs, also thanks to the nutrients it contains that boost bladder health and support healthy urinary tract lining. Plus, free radicals actively participate in the process of aging. Stocking up on antioxidants not only protects your health, but also helps preserve your youthful appearance by preventing the decline of skin elasticity associated with ultraviolet radiation. If there was just one reason to eat kale, its antioxidant benefits would be it. But don’t get too obsessed with maximizing your antioxidant intake: moderation and diversity work much better than a single-sided approach to eating. Studies have shown that eating lots of vegetables and fruits decreases your risk of serious health problems, so it makes sense to just amp up your consumption of fresh produce in general. Kale is definitely worth exploring and experimenting with in your kitchen. It is a popular ingredient in smoothies because your blender does the hard work for you: if you’ve ever chewed on a kale salad, you know that it takes extra effort to munch through it.